Letisha, a working mother of two young children, had tried two other literacy organizations as she worked towards her GED. When she came to Literacy Services of Wisconsin in 2009, it was an immediate fit. 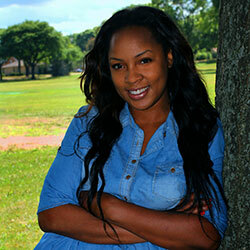 Letisha recalled, “It was the one-on-one tutoring. I had my tutor’s undivided attention and I was able to work on my own specific problem areas without interruption.” She added that LSW’s flexible hours made it easy to get classes around her work schedule. Because it was an intensive one-on-one experience, she felt there was less of a time commitment than there would have been in a large classroom setting. Letisha progressed quickly; after a brief stint in the Adult Basic Education program to refresh her skills, Letisha was able to transition into the GED program with ease. 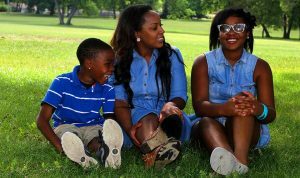 The challenges of working, raising her two kids, and studying for her GED took their toll, however, and Letisha had to take a six-month break from LSW. But when she returned, she was determined to let nothing get in her way of her ultimate goal; she was going to complete her GED. And she did, crossing the stage at MATC during the citywide GED graduation ceremony in June of 2014 with LSW’s largest graduating class to date. Letisha is still working and studying. She is currently employed in a daycare while also enrolled in the Information Technology program at Brensten Education in Waukesha. She will graduate in October 2015 and has been interviewing for a better paying job in the IT field.